What is Powertxt ® ? 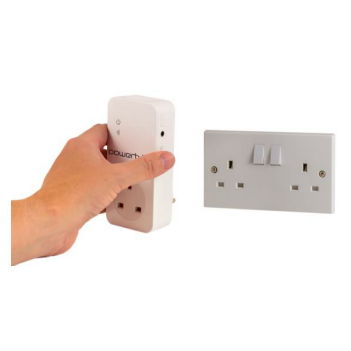 Powertxt is a simple remote power control switch that is fully operated and controlled by SMS (text message) commands, allowing effortless remote switching and control of mains power. Powertxt has no IP/Network/3G/Data/WiFi capabilities it is purely GSM and communication is by text messages only making it the perfect secure solution for out of band remote power control / remote switching. Powertxt effectively performs a ‘hard reboot’ by turning the mains power to your equipment off and then on again (“rebooting it”). Powertxt has many additional features including real time power loss text alerts (and power restore alerts), real time temperature alerts and Powertxt can also automatically control your device by time/date & temperature making it an ideal solution for many applications. (Powertxt includes a plug-in temperature sensor, shown above). Powertxt gives you the ability to “power cycle/reboot” your business critical hardware from anywhere 24/7/365. Powertxt is so easy to use. 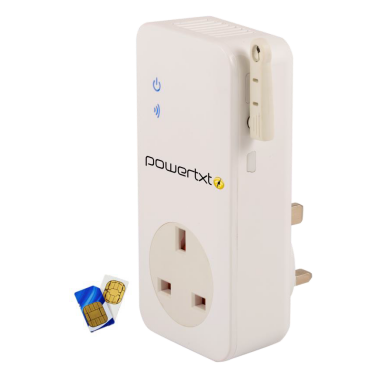 Powertxt does not require any technical installation, just insert a SIM (not included) and plug in! You can be in control of your connected device in less than 3 minutes. Traditionally adding remote power retrospectively has been very difficult but with Powertxt it’s just as easy to add remote power control to existing equipment as new equipment. Powertxt can be controlled easily by phone or for larger numbers use our online management tool EstateView to control all your devices from one central place. ROI – “It is estimated that over 70% of all downtime events can be solved with a hard power reboot” Powertxt is a low cost remote power socket and the majority of Powertxt users get a return on investment after the first call out/engineering visit saved. 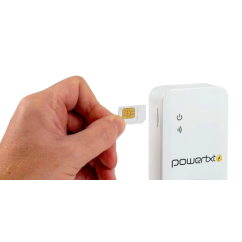 Powertxt only needs a SIM card to operate so running costs are usually less than £15 per year (for a M2M SIM). We can arrange a suitable 3-year SIM card package to go with these devices. Outgoing SMS 'texts' will be charged at 15p but the first 144 (4 per month) are included in the package. Incoming texts are free. The all-in price is £60 + VAT. For further information fill in the form here.